Another one in this series of mug collections. 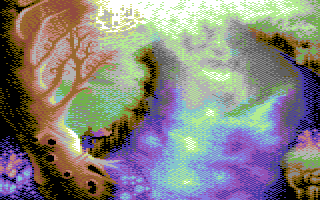 This time with ZX Spectrum restrictions. woow! good one! never seen it before. nice playing with colors and 1-pixel outlines. 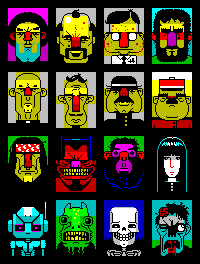 yeah, that an excellent example of character design, never seen on speccy before! first two line of characters strongly reminds me Professor Layton (Nintendo DS game series), it's amazing comic style.